​Manchester United manager Ole Gunnar Solskjaer has reiterated that star midfielder Paul Pogba is 'happy' at Old Trafford, playing down the growing rumours the World Cup winner is pining for a big money summer move to Real Madrid. Pogba spoke highly of Real coach Zinedine Zidane during the international break, acknowledging that 'Real Madrid is a dream for anyone' and that it is a 'dream for anybody who likes football' to play under the three-time FIFA World Player of the Year Frenchman. 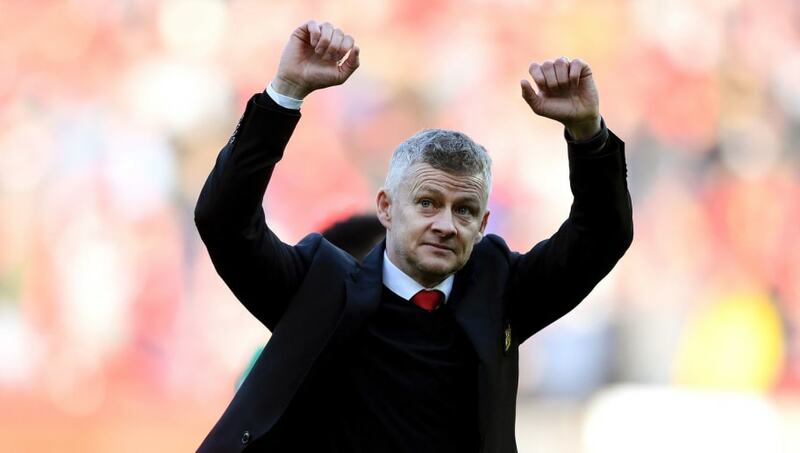 As such, Solskjaer was unsurprisingly quizzed on the ongoing saga when he faced the media at a press conference prior to United facing Wolves in the Premier League this week. "It's more of a general talk and Paul is a very nice and polite man who answered a general question," ​the Norwegian said, addressing the wave explosion of speculation.  "Paul is a nice and polite man who answered a general question on Zidane. Paul's happy here, he's gonna be a big part for us. We want to build our team around him and that hasn't changed!" United fans will hope Pogba leads the team to victory against Wolves at Molineux, a Premier League repeat of the recent FA Cup quarter final that ended in defeat for the Red Devils. In terms of team news, Solskjaer expects Anthony Martial to be available after suffering a knock against Watford on Saturday, while Romelu Lukaku could be fit enough to start. There will also be a return for key defender Victor Lindelof after unspecified personal reasons kept him out of the Watford fixture - the Swede became a father for the first time last week. "Anthony and Romelu will both be ready for tomorrow, definitely, unless they break down in training today [Monday] but it looks good," Solskjaer told MUTV prior to his press conference. "Victor has had a good few days of training now so he'll be ready. Apart from that, [Matteo] Darmian and Eric [Bailly] are still out. [Antonio] Valencia is still out and Alexis Sanchez is still out. But it’s a good strong squad," the United boss added. Club captain Valencia has only featured for United once in 2019 and continues to be unavailable, despite recently playing 90 minutes for Ecuador during the international break.